Suction cups with thumb tacks. Suction Cups Direct. Adams 32mm suction cups with 16mm diameter flat plastic barbed tacks are very reliable and fix signs or posters up to 2mm in thickness to a flat, clean dry window. The tacks on this product grip really well, but can be removed with a good tug. 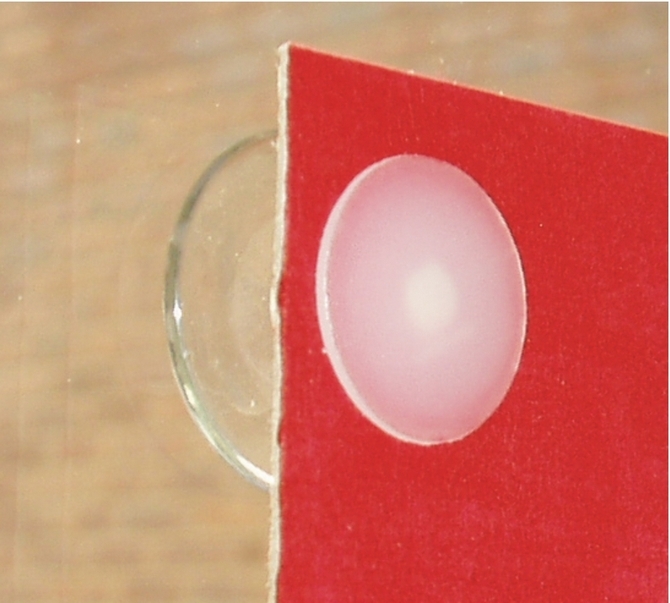 Adams suction cups with tacks look professional, are safe in strong sunlight and will not yellow or turn brittle. 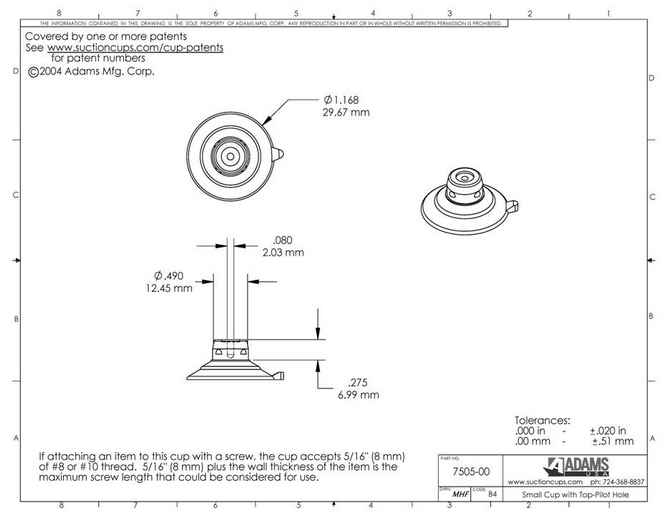 The cups can be removed from the window by using the Adams quick release tab on the edge. 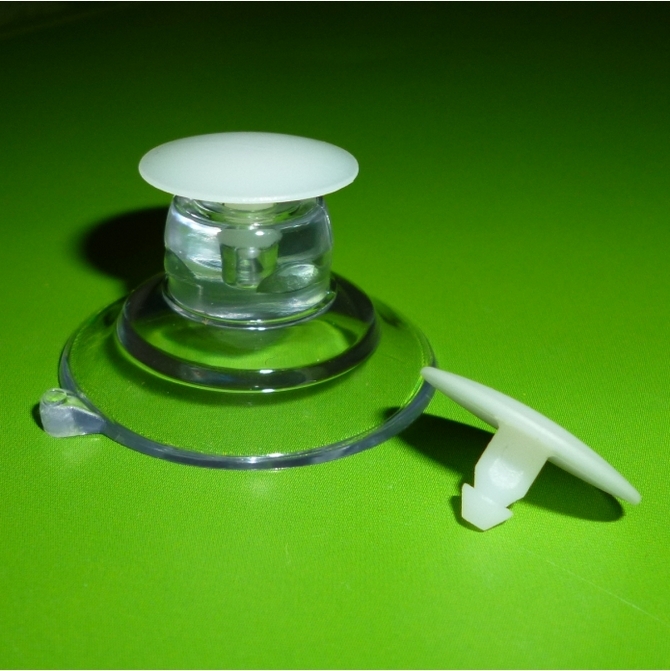 If you require suction cup fixings for thicker posters and signs up to 7.5 mm, then use "suction cups with thumb screw".